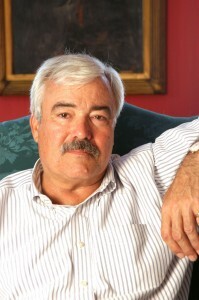 Thirty-four-year Annapolis resident and civic activist Gilbert Renaut today announced that he will run for Mayor of Annapolis in the Democratic primary election in September. He is forming a committee in support of his candidacy and will announce his campaign officers in the next few weeks. “With Alderman Richard Israel’s withdrawal from the mayoral race, I can only see four more years of the same sort of polarizing City politics we have had for the last eight, and I can’t sit still for that”, Renaut said. Bringing Annapolis together to achieve active and cooperative participation of all our citizens, ethnic groups, neighborhoods, and interest groups to find and make the most of what we can agree on. Hiring qualified professional management for the City, despite the City Council’s recent vote against it, with particular focus on the Market House, the recreation center, and police headquarters. Fiscal responsibility, with transparent and candid City budgeting, financing, hiring, and an end to the practice of claiming that property taxes have been “lowered” when in fact they have been raised dramatically because of rising assessments. New emphasis on recreational and educational youth opportunity for all our residents. Continuing emphasis on community policing and on-the-street police presence to keep our communities safe for the people who live in them. A transportation system that all our residents can enjoy using. An economic development program that puts local businesses first and stops putting up obstacles to their success. A tourism and events program that encourages visitors who come to Annapolis for what’s special about it. Congratulations! It looks like you are running again. I hope it turns out well for you. BTW, Carey passed her bar exam. Keep in touch.